How to remember everything?” it is a rising question now a days. And people are trying various strategies to remember everything they experience in life. Memory is an important part of our life and everyone wants a sharp memory to memorize every event of their life. A famous Roman philosopher and statesman named Cicero once said that “memory is the treasury and guardian of all things”. People have to perform different task at a time so mind get distracted and it became difficult to memorize everything at a time. Different distractions at a time impart negative effect on memory. With passing age memory seem to be fuzzier and people start forgetting common things like bringing lunch from home, collecting car keys, taking a shower etc. sometime people even start forgetting about present day and date. Not only old people have poor memory but it can strike at any age. Now a days teenagers are more in number with poor memory. 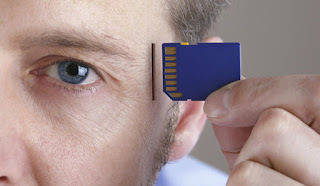 Weak memory impart negative effect on routine activities and personal life. Some people use mnemonics to remember important things of their life like birthdays, anniversaries and 1st day of university etc. but remembering everything is different from it. There are some strategies which can be followed to remember things in life and make your memory super power. 1st Strategy is to visualize things. People should try to relate an image with event they want to remember. With the help of image associated with event it become easy to remember whole event. Research state that about 65 percent of people are trying to remember things via visualizing it. For example to remember a meeting at 4 pm person can remember his favorite quartet. 2nd Strategy is about mind games or brain games. There are many mind games like Sudoku and cross words are useful in remembering things. These are brain stimulating games which activates it. By playing these games mind level of remembrance increases like 97 percent of players have improved memory in only 10 hours. 3rd Strategy is to use Cicero method. Cicero is a philosopher and statesman who start remembering things with the help of support images. He also memorize spatial relationships to remember and recall information. In this technique, person tries to relate layout of some building or arrangement of shops to remember events. 4th Strategy is baker-baker method. This strategy is based on an experiment named baker-baker paradox. In this experiment two groups of people are formed and show a man picture to both of them. 1st group was told that his name is baker and 2nd group is told that he is a baker. 2nd group remember him more accurately. 5th Strategy is to take a nap. Researchers say that taking a nap improves memory. 6th Strategy involves labeling different people with their names on their forehead. Some people find it useful. 7th Strategy involves administration of omega 3 fatty acid in food.as it sharpen memory. 8th Strategy is the simplest one. It involves keen attention to event, dates, time and things associated with it. Hello my name is Harry R. Gammill. Professionally, i am a doctor but writing is my hobby. I write these articles just for the sake of my passion and addiction. If you like it please share it with others because sharing is caring. Healthgala.com is protected and monitored under Digital Millennium Copyright Act. Duplication or Republishing of its contents without Permission or provision of credit link to the original article is liable to legal action with DCMA.